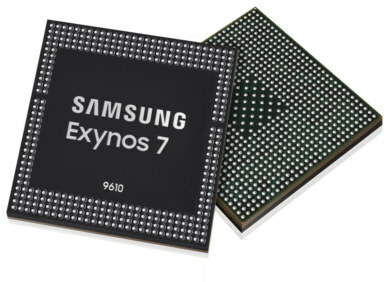 Samsung has announced yet another Exynos 7 series application processor with Exynos 9610, built on Samsung’s 10-nanometer (nm) FinFET process, and supporting premium features such as deep learning-based image processing and slow motion video recording at 480 frames per second in full HD. The SoC includes four Cortex-A73 cores, four Cortex-A53, and Arm Mali-G72MP GPU, a sensor hub based on a Cortex M4F real-time core, an LTE Cat 13 modem, 802.11ac WiFi and more. Mass production of the Exynos 7 Series 9610 is expected to start in H2 2018.